Among the top three virtual currencies, none of have lost such a huge amount of value. Ethereum’s value erosion is nothing short of enormous. And with the Initial Coin Offering market now in trouble, it appears the issues Ethereum (ETH) is facing isn’t about to end anytime soon. Authorities around the world have started tightening the regulation of ICOs. This is why the fundamentals are not positive. The current price movement of Ether means that a fall below $100 is imminent. Yes, things are not actually looking good for Ether. Additionally, with the competition within the Blockchain increasing from the other virtual currencies, the use of the Ethereum blockchain isn’t increasing by any means at a faster pace when compared to what it was earlier. Whether we will see a turn around in the fate of the digital asset remains to be seen. We can’t say if it will hit the heights it attained when things were better. That is another matter altogether. For now, however, it appears that there is no bottom deep enough for the Ether token price. The blockchain of Ethereum (ETH) is one of the most useful in the blockchain space. Nevertheless, the blockchain project is paying a big price for the abundant fake projects in the crypto industry. A lot of Initial Coin Offerings used the protocol of Ethereum in 2017 and 2018. Ethereum is now the one paying for the sham motives of most of these projects. The massive decline in the value of Ethereum is basically as a result of the low rate of new Initial Coin Offerings coming in the market. Investors are now smarter, they now have a better understanding of the landscape. A lot of existing projects are now selling-off their Ether as a result of the crash in the value of the digital currency. 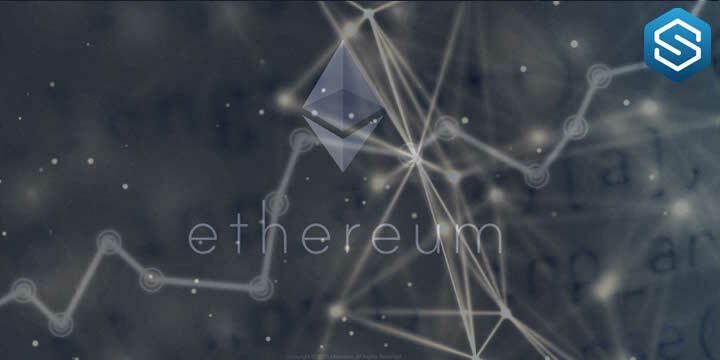 However, the founder of ConsenSys and the co-creator of Ethereum – Joseph Lubin – believes that the adoption process and use cases of Ethereum’s protocol is growing rapidly. Ethereum has had quite a rough year, but will this situation continue? What value will Ethereum have by the end of 2019? Will the price of Ethereum surge toward unseen all-time-highs? Or are we in for another bear year? Many crypto experts believe that as blockchain becomes more widely adopted, the price and reputation of Ethereum will increase accordingly. Here are some Ethereum price predictions. Matthew De Silva, a cryptocurrency journalist at Quartz, made his price prediction known in September after prices crashed to the $179 mark. The argument that De Silva made was that Ethereum is reaching its natural state, which, according to him, is close to zero. Joseph Raczynski, the founder of JoeTechnologist.com and a key blockchain influencer with a Twitter following of 153K, expects the value of Ethereum to hit $1,200 by Q4 2019. He attributed his projection to the popularity of Ethereum’s proof of concept among institutional investors. He also added that the network has the largest developer community. ‘They are one of the most real projects to date. Nearly all large organizations are testing on this platform’, Raczynski said. According to Tom Lee, head of research at Fundstrat Global Advisors, Ethereum is about to rally strong, pointing at its recent sharp losses, and stating that the digital currency is well-positioned for a recovery. 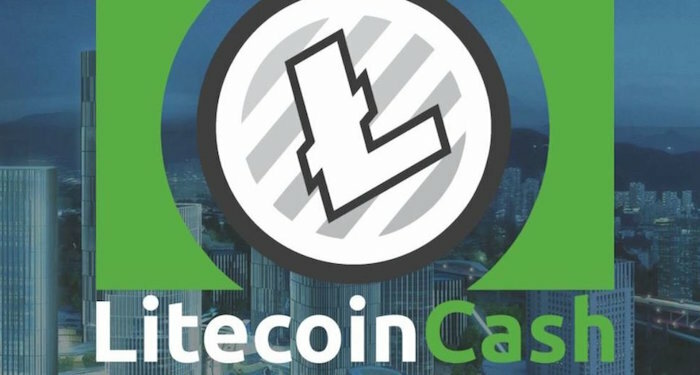 While Lee may be highly bullish on Ethereum’s price prediction, Tim Enneking, managing director of Digital Capital Management, disagrees. He said that such a price move is highly unlikely. ‘There are no drivers to push ETH to 40% above its prior all-time high’, he added. The CEO of the deVere Group, believes the price of Ethereum will increase significantly and could hit $2,500 with a further increase by 2019 and 2020. ‘This general upswing will be fueled by three mains drivers. First, more and more platforms are using Ethereum as a means of trading. Second, the increased use of smart contracts by Ethereum. And third, the decentralization of cloud computing’, DeVere said. According to DeVere there will be several key motivators that will fuel a rally in crypto prices, which will include the growing integration with and adoption by major banks and other financial institutions. ‘Another key reason for the rally is that there’s a growing awareness of the need and demand for digital, global currencies in a digitalised, globalised world’, Green said. ‘Ethereum can be expected to solidify its position as the second most valuable and used cryptocurrency token in the world. Brian Schuster: $10,000 or even $100,000, if it replaces gold as a store of value. The head of Founder Solutions at Ark Capital LLC presents an extreme bullish picture of Ethereum reaching $100,000 per coin. The ultimate replacement of gold with crypto has been discussed endlessly by a number of other market observers, even though Bitcoin is mostly seen as the favourite replacement coin. ‘What if you believe that Ethereum is less like one individual business and more like a store of value, like gold? This gives us a potential market capitalization of roughly $10 trillion, leading us to believe that the price of Ethereum might rise as high as $100,000 per coin. We might even go one step further and say that Ethereum is not like one asset, but an asset to replace all currency that exists.’, Schuster said. Schuster further claims that Ethereum’s platform aspect may eventually lead to it becoming a sort of mother currency for all future digital currencies, and this in a world where digital currencies are the norm. 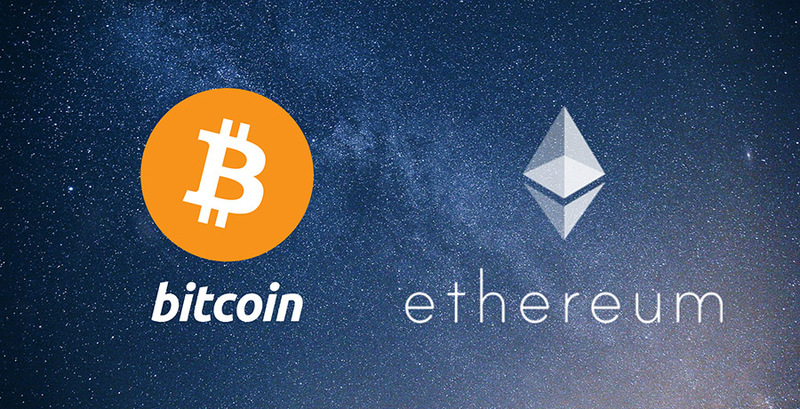 Cryptocurrency author and market observer Jeff Reed points out Ethereum as a more certain long-term bet than Bitcoin. ‘Like Bitcoin, there is little stopping Ethereum from being an alternative currency to fiat and commodity currencies. You can conceivably trade anything using Ethereum, but this is not Ethereum’s strength in comparison to other cryptocurrencies – they can all do this. It’s rather the computing language that allows the smart contracts to exist that makes Ethereum more valuable than BTC’, he said. Reed doesn’t give a price prediction or timeline, however, according to him, the market boils down to Ethereum eventually trumping Bitcoin, and seizing its top price position. Influential technology expert, Ian McLeod of Thomas Crown Art predicts that Ethereum will experience a monumental, defining global breakout. According to McLeod, Ethereum is already light years ahead of Bitcoin in everything but price and this will become increasingly apparent as more and more investors jump into crypto. ‘We can expect Bitcoin to lose 50% of its cryptocurrency market share to Ethereum, within five years.’, McLeod concluded. Chris McClure, chief marketing officer of cryptocurrency at data provider Svandis, said that they believe heavily in Ethereum. ‘Ethereum is aggressively oversold and overdue for a rally going into 2019’, McClure said. Fred Wilson: Ethereum feels like the easiest one to make a bull case for right now. Fred Wilson, the co-founder of Union Square Ventures, one of the most well-known venture capitalist firms in New York City that manages over a billion dollars in assets, said that Ethereum feels like the easiest one to make a bull case for right now. How High Can The Price Of Ethereum Go? When it becomes more widespread and mainstream it can hit the numbers over in a year. But it is not sure. It will be easier to climb after hitting $1k. Sure it will see some drops from time to time. But in a long term if the demand goes in that way it is not hard to hit those imagined numbers. So the best thing to do is not investing in the crypto, but investing in the technology. If you invest in technology to make a better world you will definitely be happier. Ethereum is fast emerging as a major cryptocurrency. In the last few days, it has scaled new heights quite consistently. Also, in the calendar year 2017, it is risen by about 3600%. This is one of the main reasons why most of the investors are also looking at Ethereum as a long-term investment bet. This brings us to the important question ‘what can be the Ethereum price? You need to understand that you have to look into the usability as well as the application of the cryptocurrency. When you are able to look at the usability and application of cryptocurrency, thereafter only it would become easier for you to understand how its value can appreciate. When you’re looking at Ethereum, you would realize that it is underlying capability that is it provides decentralized processing power as well as bandwidth. Owing to this very reason, Ethereum is much different as compared to the other tokens which are just a token for investment. This also means that the value of Ethereum would increase in the future. Thus, when you look at the kind of returns which are expected from Ethereum, you would realize that it has a long way to go still. These are the 3 reasons why Ethereum is being more widely used. You need to keep in mind that when it comes to Ethereum, the more the platform is used, the higher would be the price of the token. Owing to this very reason, you can be sure that the value of Ethereum would increase in the future as well. Also, it is expected to become the 2nd most valuable cryptocurrency according to the market cap. This is one of the main reasons why it would consistently appreciate as well over the years. So, whenever you’re looking to invest in any cryptocurrency, it is a much better idea to look at the option of Ethereum. When you look at the option of Ethereum, you would realize that not only it has a strong application but also significant potential for appreciation. Ethereum has reduced a bit after rising to $ 1200. Many of the investors are trying to figure out whether it has the same kind of potential to increase in the future as well or not. If you look at some of the predictions which are available online, you would realize that certainly, there is a high chance that Ethereum would actually rise in the future as well. This is the reason why many investors are still looking to invest in Ethereum. Another reason why Ethereum is attracting such a lot of investor attention is due to the fact that the actual utilization of the Ethereum platform is just at the starting point. In the years to come, this utilization would surely improve. As this utilization improves, so would the price of Ethereum. More and more exchanges are also listing Ethereum as a cryptocurrency which you can buy. Therefore, these days buying Ethereum cryptocurrency is not that difficult either. Investors can sign up easily on the different exchanges in order to buy Ethereum. You can easily exchange other cryptocurrencies in order to buy Ethereum. Moreover, many of the ICO’s are being launched on the Ethereum platform as well which is further fuelling the demand for Ethereum. This is another reason why the price of Ethereum would increase in the future as well. Thus, if you’re looking into the futuristic prediction of the different cryptocurrencies, Ethereum is certainly one of the best options which you can currently invest in. You need to, however, keep in mind that you have to look at the tremendous increase in the price of Ethereum in the last few months. Therefore, it should not come as a surprise that the price of Ethereum can actually reduce in the shorter term. However, in the longer term, you can be sure that the price of Ethereum would increase. If you’re ready to bear that volatility and if you’re ready to hold Ethereum for a longer period of time, you can be sure that you would be able to get a good amount of return as well. Also, the kind of returns which are provided by cryptocurrencies are much more than the traditional asset classes which you can invest in. In the longer term, only when the underlying application of Ethereum is being utilized more and more, Ethereum would increase in value as well. This is one of the main reasons why you have to look at the potential end users. The truth is that even Fortune 500 companies are interested in what Ethereum has to offer. They have formed an enterprise Ethereum alliance in order to harvest the smart contract capability as well as the blockchain capability of Ethereum. Once proper end applications are available, you can be sure that the usage of Ethereum would increase significantly. In addition to the application which we discussed above, Ethereum platform is also being used by the companies in order to launch their ICO’s as well. This is another application which is gaining more and more momentum. Disclosure: This article is not an investment advise. It is not an easy question but some predictions can be done. If we think about Bitcoin, no one could imagine that it will hit the 20k dollars in one day starting from $.08. But it happened since 2009, in less than 10 years. If we think in the same way for Ethereum, it will take some time but for Ethereum it will be faster to reach some numbers. And also if we think about the background technology of Ethereum, it can make it easier to become more common. But you should remember that, Ethereum is not only a coin it is also a technology far beyond our imagination. Most of the ICO’s are using Ethereum based Blockchain technology. This is also something else why Ethereum will last more.